NetEnt Live Casino Software review - Reviews of the best live casinos. 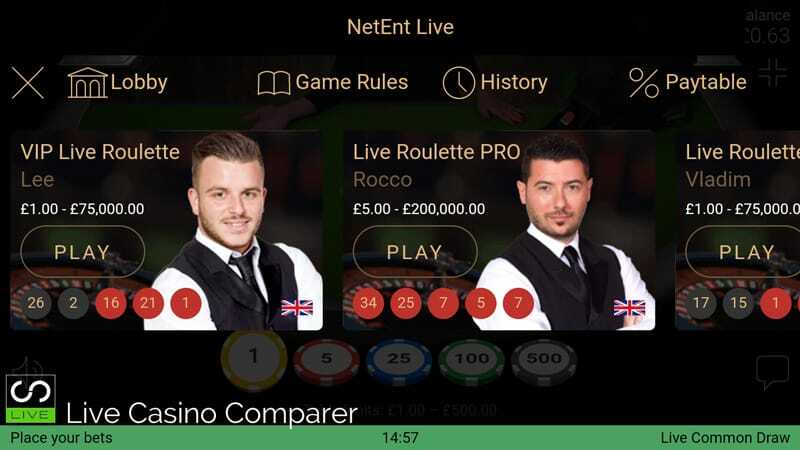 The NetEnt Live Casino was first launched in beta form in early 2013 and comes with just two games Live Blackjack and Live Roulette. Both can be played on Mobile and Desktop. 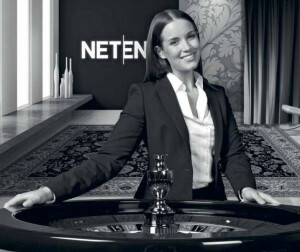 Net Entertainment was founded in 1996 by a leading Scandinavian land based casino company. 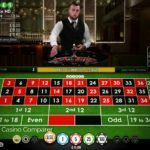 They are well known as a developer of online slots more than anything else, although they develop a range of gaming solutions that include table games, video poker, lottery, virtual horse racing and keno. 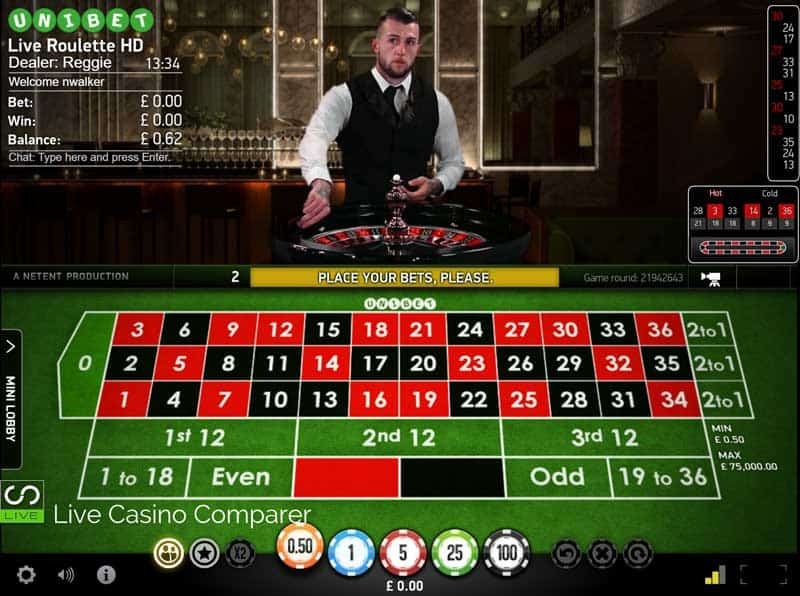 Roulette 0.50 – 75k None To see the latest Live Casino promotions. Click Here. 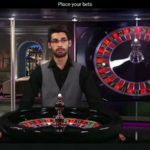 LBL Roulette To see the latest Live Casino promotions. Click Here. 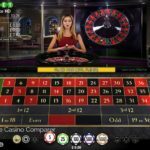 Roulette 0.50 – 100k None To see the latest Live Casino promotions. Click Here. 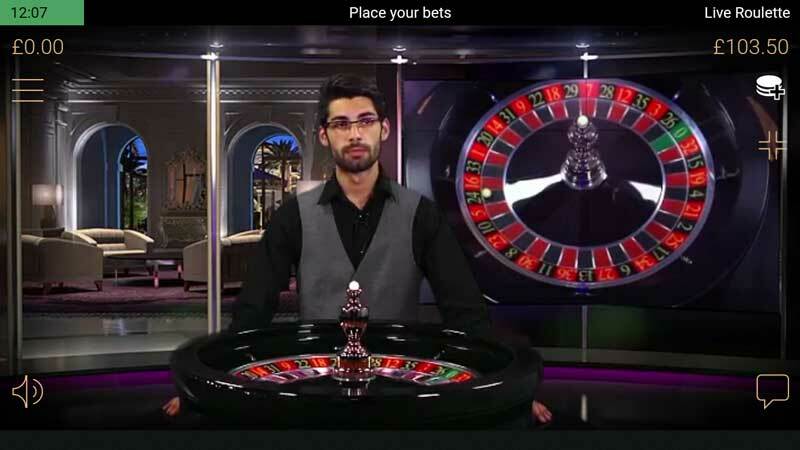 Virtual Studio Roulette To see the latest Live Casino promotions. Click Here. 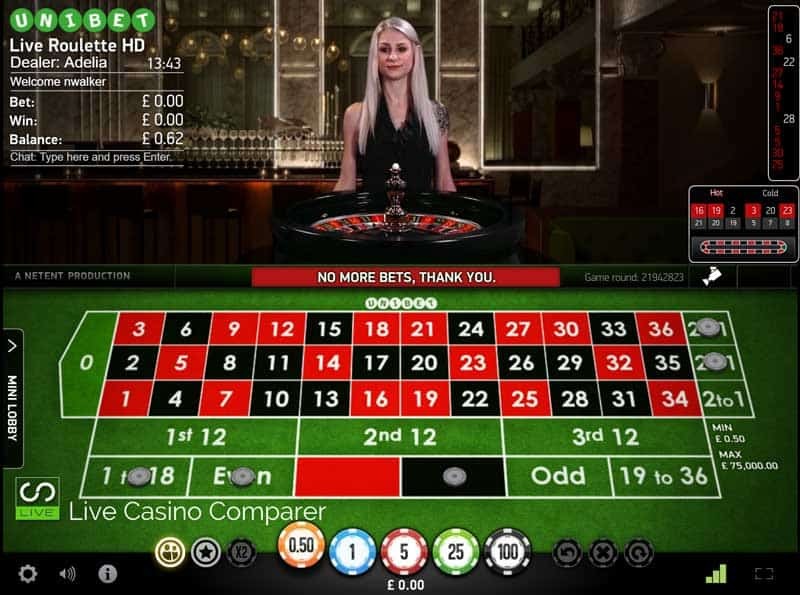 Roulette 1 – 75k None To see the latest Live Casino promotions. Click Here. None To see the latest Live Casino promotions. Click Here. 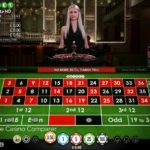 Roulette 1 – 75k None No Live Casino Bonus. 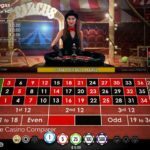 Roulette 0.50 – 75k None No Live Casino Bonus. 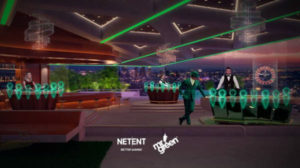 The NetEnt Live Casino studio is located in Malta, which is also home to a number of other Live Casino developers. The studio has been built with the latest technologies, which allows NetEnt to provide a slightly different solution to their competitors. Their main USP is the adoption of Green Screen/Chroma Key technologies, which allows them to present tables with different backgrounds and environments without the need for expensive building costs. This has sort of become NetEnt’s USP, which distinguishes them from other studios where you see lots of physical tables in large dealing rooms. High definition video streaming with low latency, to reduce the lagging that you sometimes get when playing. Tables that are open 24/7. 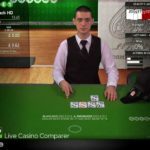 The ability for casinos to brand the tables using the latest Chroma Key Technology. Use of the latest gaming equipment to ensure faster game rounds, eg. use of the Shufflemaster dealing shoe in Blackjack. Support for 27 currencies and 24 languages. Native English, Italian, Dutch, German, Italian and Norwegian speaking dealers. 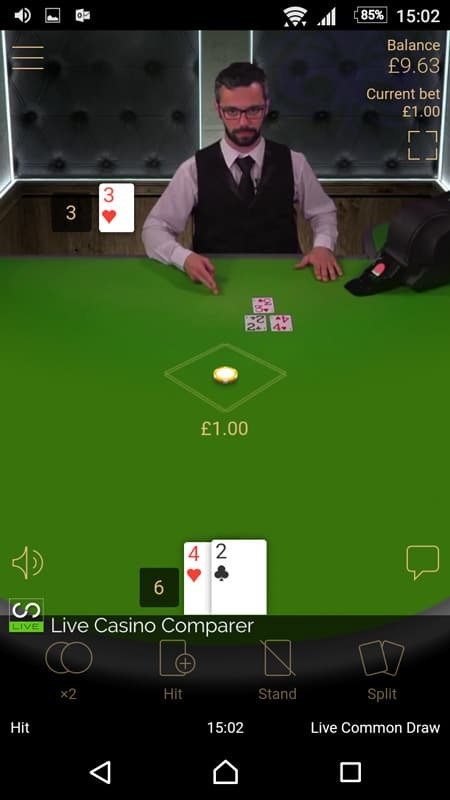 Automatic and dealer hosted tables. Easy integration with the other Net Entertainment products & Back Office solutions. Dedicated 7 Seat Blackjack tables. Perfect Pairs and 21+3 Side Bets on Blackjack. The ability to play on Desktop and Mobile Devices. 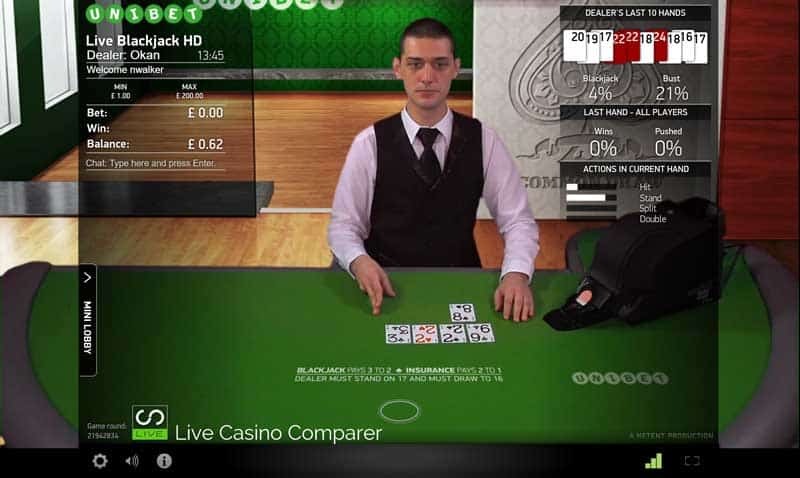 Branded game environments, where tables are co branded with slots or sporting events, offering players additional experiences while playing at the tables. 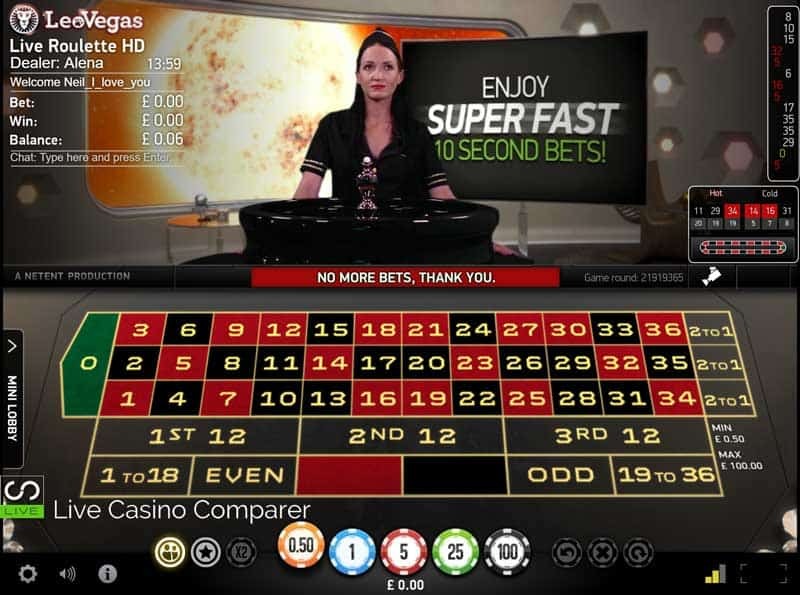 Ability to offer cross game promotions, like free spins on slots. 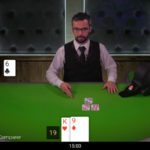 Access to the unique Live Beyond Live Virtual Live Casino Lobby. 2 live games are currently offered by NetEnt. Blackjack and Roulette, they both come in a number of different variations. Each of the games come with the following playing rules. 6 Decks are used and are changed when the shoes is about 50% through. The dealer only takes one card, this is European Rules. Insurance is offered on a Dealer Ace. You can double on any hand value and also on Splits. Only one additional card is dealt to split Aces. You can take even money on a Blackjack if the dealer is showing an Ace. 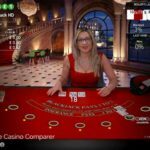 Common Draw Blackjack – Only one hand is dealt that an unlimited number of players can bet on. Other players decisions have no impact on your hand. A shufflemaster Dealing shoe is used to shuffle and deal 6 decks. 7 seat Blackjack -This is a more traditional version of Blackjack where only 7 seats are available. You’re dealt your own hand. Shufflemaster and manual dealing shoes are used on the tables. Side bets are available. 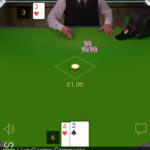 Perfect Blackjack – This is a one to many game that is controlled entirely by the dealer. 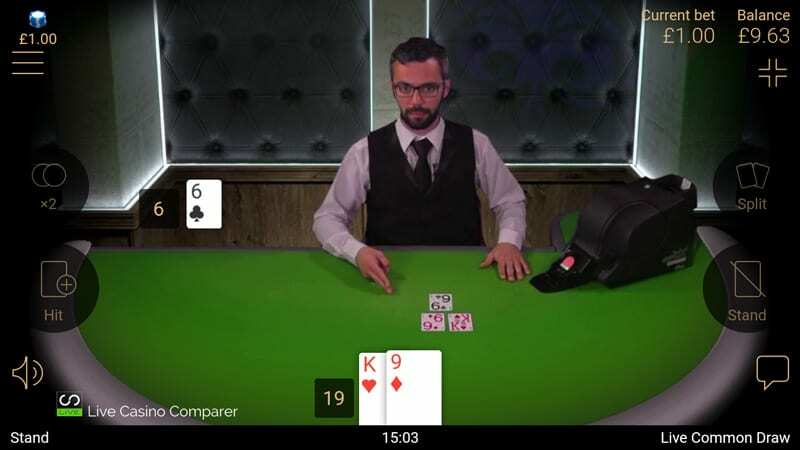 The player places a bet, then the dealer plays each hand out to perfect basic strategy. There’s options to Auto Split and Auto Double. Side Bets of Perfect Pairs and 21+3 are optional. There’s several different versions of Live Roulette at NetEnt. 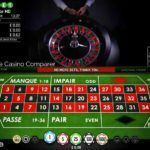 European Roulette with La Partage. French Roulette with and without La Partage. All of the games come with a Racetrack and the ability to save your favourite bets. 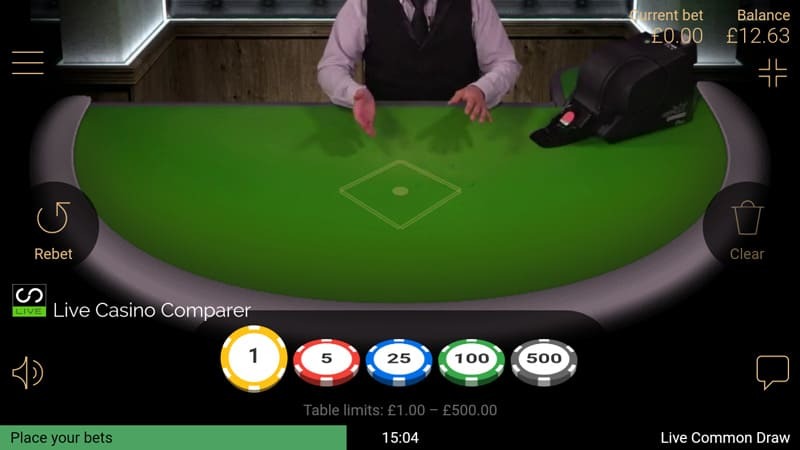 You can opt to see other players chips, but I’d advise against that at busy times, as you won’t be able to see the betting grid! 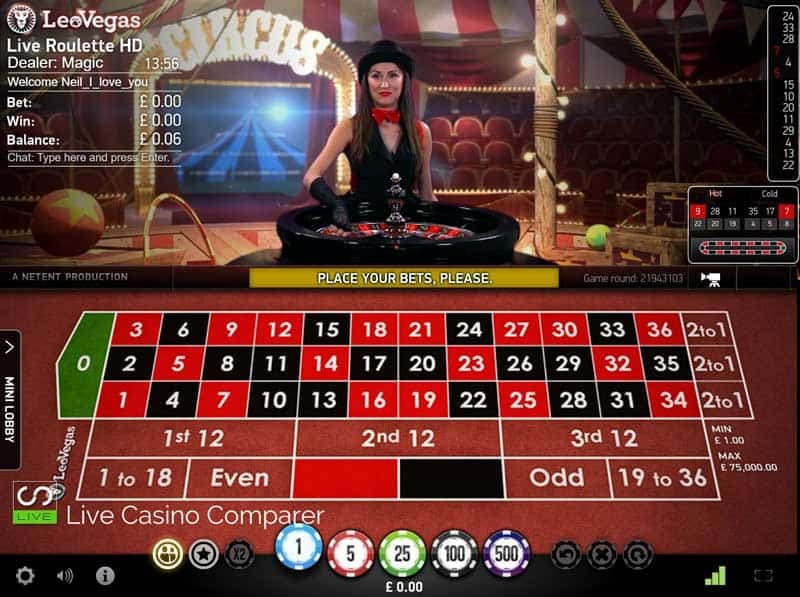 Automatic Roulette is for players that like a quicker game. It’s a real wheel, but instead of using a dealer compressed air is used to fire the ball into the wheel and a laser is used to read the winning number. 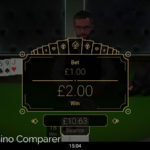 I’m rather surprised that I’m saying this but the mobile live casino is very good indeed. NetEnt has the ability to create themed tables for promotional purposes. Quite often Prize draws are offered where players can earn tickets for the draw by just playing at a particular table. 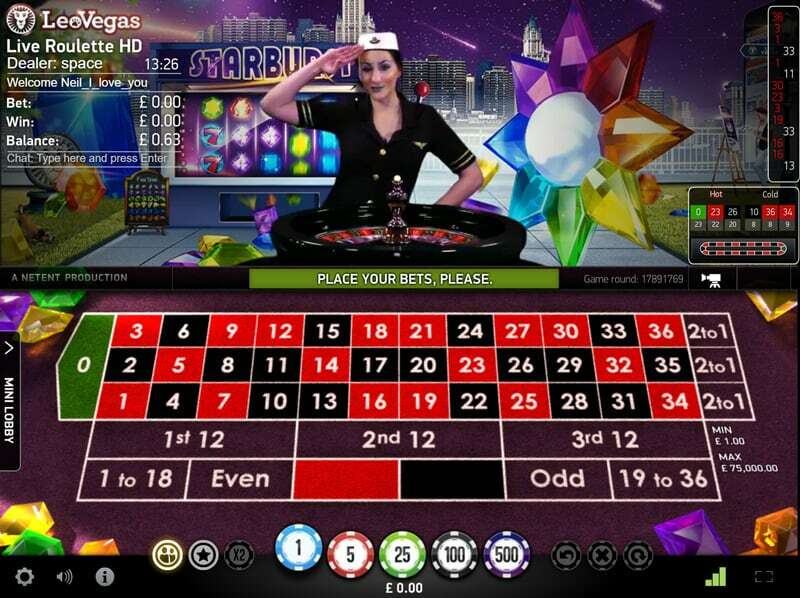 Free spins are also offered so you’ll sometimes find that a table has been themed with a popular slot, like Starburst. 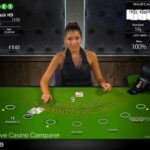 You earn free spins for hitting certain milestones when playing at the table. It’s a promotional tool and one that NetEnt does particularly well. 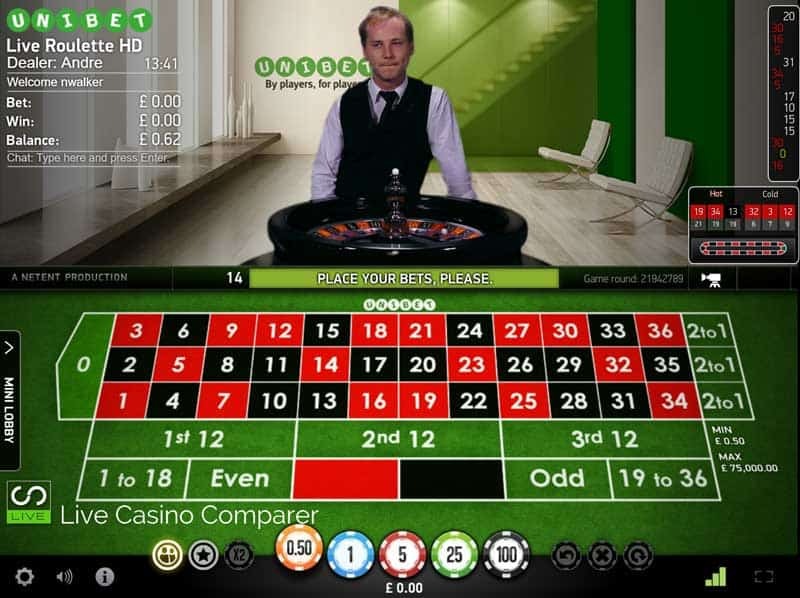 This is NetEnt’s latest development for Live Casino. 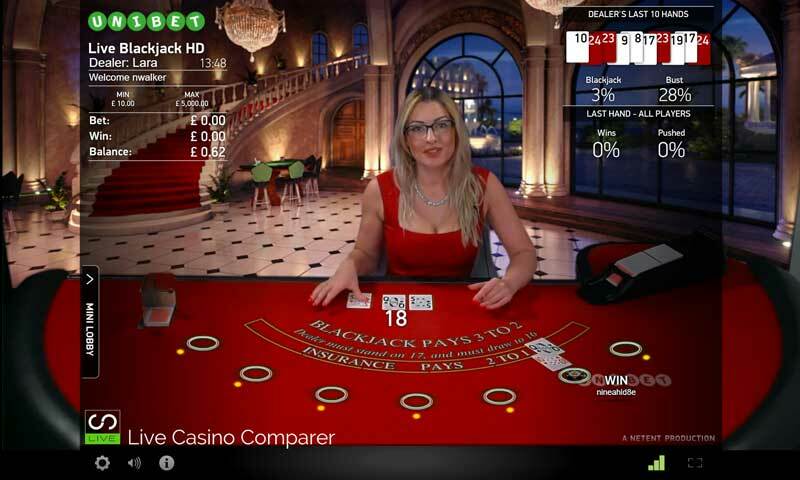 It’s a virtual Lobby for Live Casino games. Tables can be accessed by walking through the lobby, you can see other tables and virtual people and helicopters. Clicking on a table loads the playing interface and away you go. The concept was developed in collaboration with Mr Green, so some of the features being displayed in early 2018 are for Mr Green only. 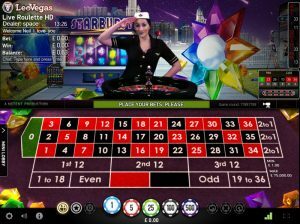 The lobby will go on general release later in the year and will give casinos a different way to brand and present the live casino games from Netent. 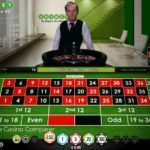 Netent has let their Live Casino product slide over the past few years. There’s been no real development and seeming no desire to improve what could be a really great product. During the latter part 2018 there has been a number of new developments that’s improved the product offering. However there is still a number of things that let them down, which in my opinion makes them less competitive and less desirable to play at as a player. The use of the Shufflemaster shoes is not something Blackjack players like. While it may reduce the need for manual shuffling and keeps costs down it’s more likely to drive players from the table than attract them. Only European rules are available, which may suit some player segments, it doesn’t suit them all, so a Vegas variation would improve things. 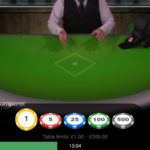 The modern playing interface is really good and Netent is one of only two suppliers who use a 6 decks shoe in Blackjack. They should make more of this because players like that. 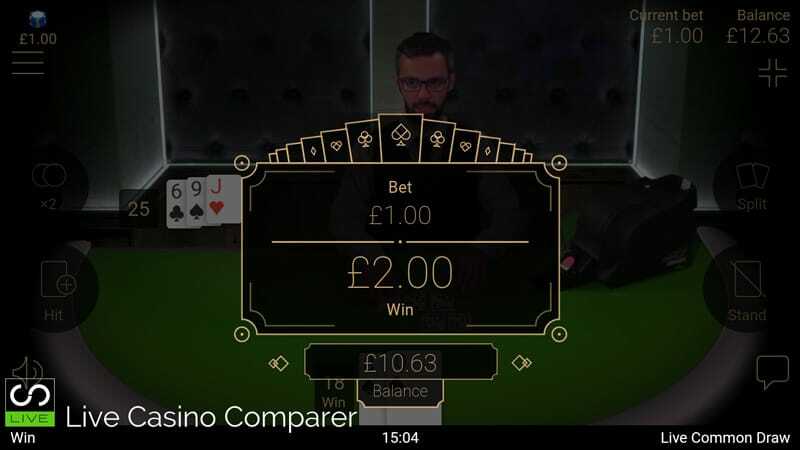 The Live Beyond Live product is something to watch and I’ll be interested to see where this goes and how it helps convert players onto Live Casino games. I’m skeptical that this will be a game changer for Live Casinos. 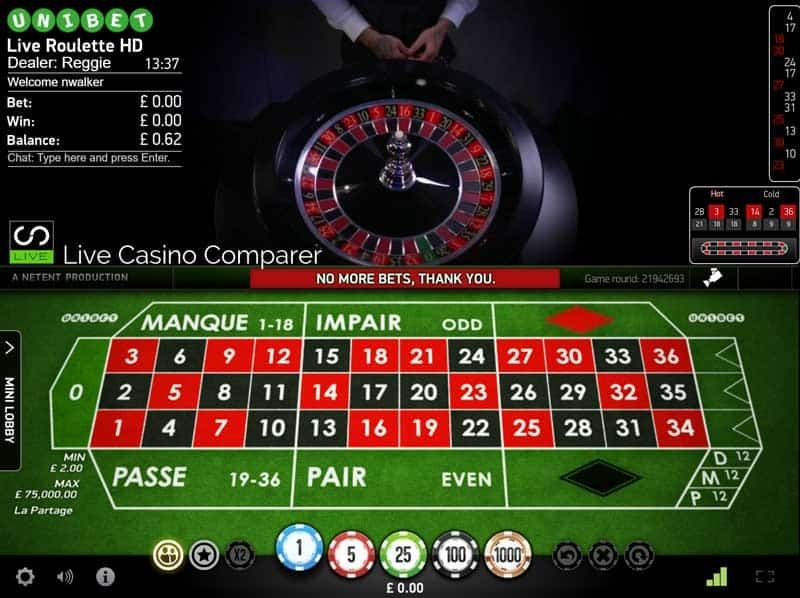 On the other hand the Live Roulette is very good and it compares well with the other Live Casino providers. Personally I’d like to see more games added, I’d like them to view the games from a players perspective rather than from a balance sheet. The games already have an edge, money will be made, but only if you get and keep players playing. The themed environments and tables are good, but they have to be supported by a great range of regular promotions. This is an area that could be exploited more and used for more cross selling opportunities. 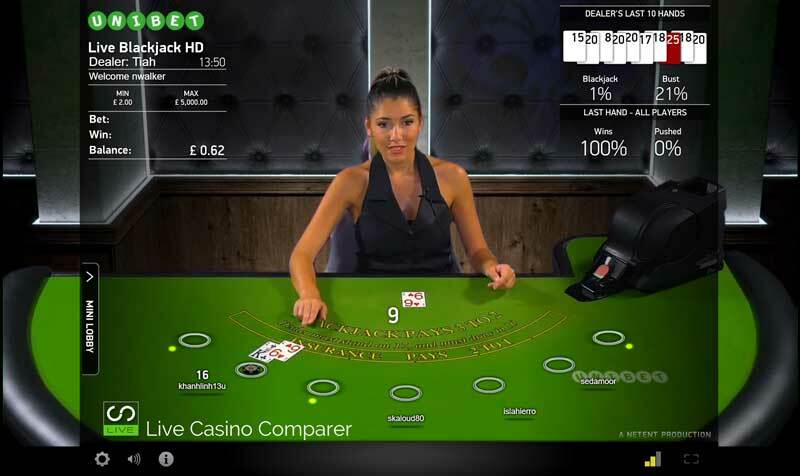 Overall I think NetEnt could have a really great Live Casino product, but they need to invest time and expertise. 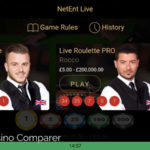 Not many casino only have a NetEnt live casino, and there’s a very good reason for that.